Project management seems like an obvious use case for iPads, so we were surprised to see a relatively small number of professional project management applications. But we found a few. For this article we decided to focus only on native iPad applications – we’ll look at tablet-optimized Web apps another time. Which of these is your favorite? Are there any you think we should have included? 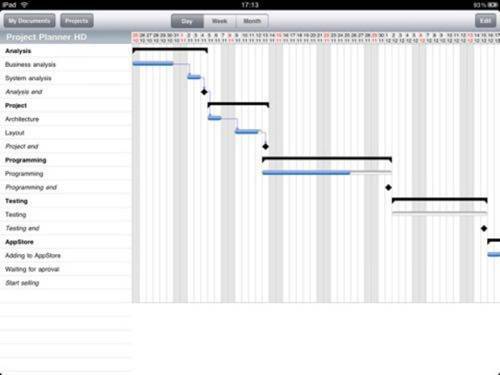 If you’re a users of the open source Gantt Project, or just need a simple Gantt chart app for the iPad, Project Planner HD is worth a look. 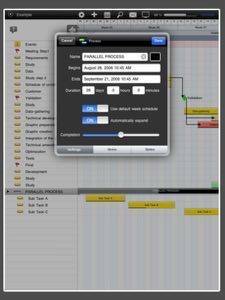 It can import and export Gannt Project files, export PDFs, and manage tasks and multiple projects. Projector is a popular and slick looking project management app for both OSX and iOS. Macintosh users starting fresh might want to give it a try. 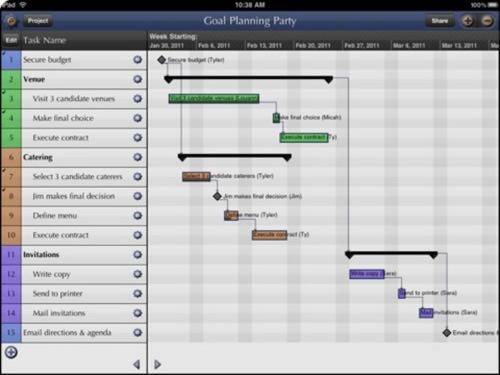 SG Project 2 and SG Project Pro are some of the most fully featured project management apps available for the iPad. SG Project can import and export Microsoft Project files. 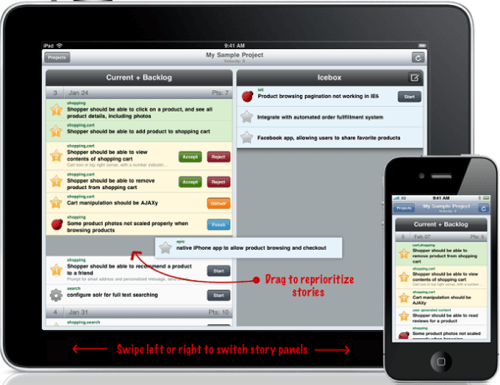 Trackerbot is an iOS client for the popular Pivotal Tracker agile project management SaaS. Trackerbot is a project of Vulpine Labs and is not related to Pivotal Labs, the makers of Pivotal Tracker. Trackerbot lets uses create, edit, reject, delete and comment on Pivotal Tracker stories. Attachments are supported. Vulpine Labs claims the app will support large projects. 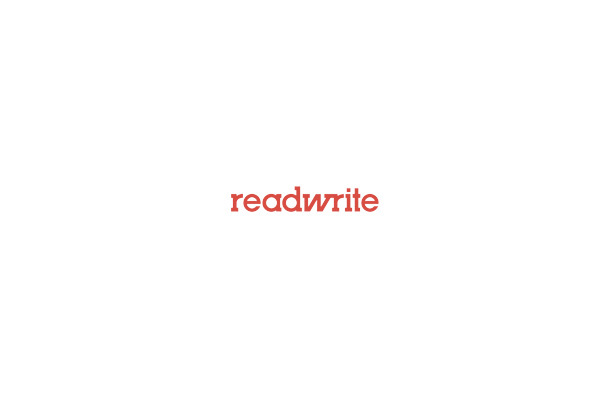 Thanks to the readers who suggested iPad project management apps via Twitter!